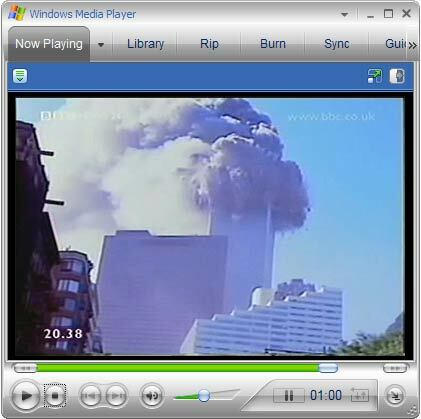 A new video has popped up on the net showing Stephen Evans of the BBC commenting on an explosion on 9/11 and features new footage of the north tower's collapse. The video recently surfaced via 'physicist' on the nineeleven.co.uk message board. Then, an hour later, we had that big explosion, from much much lower. I don't know what on earth caused that. is currently disabled because of 9-11. The movie Loose Change 2 is a very popular underground movie that has received 20 million views online and uncovers the truth behind 9/11. The producers of the film will answer your questions and speak along with a rescue worker who responded to the call of duty on 9/11. Craig was a proud member of the NYPD until the events of September 11th which changed his life. Craig became disabled because of the hazardous health effects he suffered as a direct result of the EPAâ€™s lie saying the air was safe to breathe. Craig is suffering from not only Post Traumatic Stress Disorder but Pulmonary Fibrosis, a lung disease. Craig, along with many other unsung heroâ€™s, is suffering physically, mentally and financially from the disaster. He is having a hard time paying his property taxes and may lose his house that he shares with his parents. If the government will blatantly disregard unsung heroâ€™s like Craig, itâ€™s up to the people to help each other. Please come and show support. The Journal of 9/11 Studies is a peer-reviewed, open-access, electronic-only journal covering the whole of research related to 9/11/2001. All content is freely available online. The Editors invite article submissions from all researchers working at the forefront of investigations related to 9/11/2001 and its aftermath. Check it all out, and post some comments. More Academics Challenge the "Official Story"
Many people have heard of the Project for a New American Century. But PNAC does not go far enough in explaining why 9/11 was carried out. This essay looks at the modern intellectual force who actually created the justification for 9/11. Leo Strauss is the father of the Neo-Conservative movement, including many leaders of the current administration. Indeed, some of the main neocon players were students of Strauss at the University of Chicago, where he taught for many years. Strauss, born in Germany, was an admirer of Nazi philosophers and of Machiavelli. 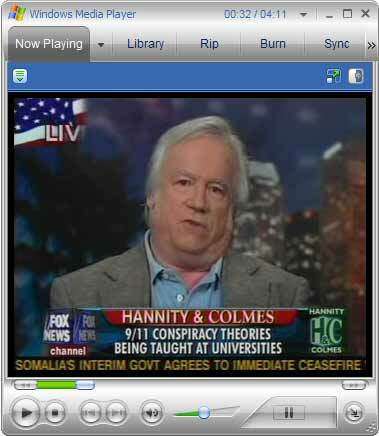 Dr. James Fetzer from Scholars for 9/11 Truth was on Hannity and Colmes tonight on FOX News. Hannity was out tonight, and was replaced by Oliver North. The interview was about as short a segment as I have seen, however once it was cleared up that in fact Scholars for 9/11 Truth does not teach classes on 9/11 in schools - the supposed premise of the show - Dr. Fetzer got in a couple points in the 4 minute segment. Hannity and Colmes are on in about 15 minutes, here is an open thread for discussing Fetzer's appearance. Please keep other discussions out of this thread. This may be old news to you, but just a quick note here of something I'd missed about Flight 77, thanks to "Bismillah" and the RI forum, that I hope you won't miss, too. At least among those with a mind for such things, it's fairly well-remembered that on September 10, 2001, Donald Rumsfeld made the shocking announcement that the Pentagon "couldn't track" $2.3 trillion of its transactions. "Iroquois" observes, "What's interesting to me is that he made his press release on a Monday. In DC, I always see bad news given on a Friday, usually late in the afternoon on Friday. The exception, of course, would be when someone happens to know that there is a far bigger story coming out." Craig Hill of the Green Party says he'll run as a Democrat. Hill embraces a conspiracy theory concerning 9-11, claiming the Bush administration was behind the terrorist attacks that destroyed the World Trade Center. Hill showed a video of what looked like an implosion of the Number Seven building in lower Manhattan after the collapse of the twin towers. The smaller, 500-foot tall building fell flawlessly as if it had been taken down by well-placed explosives. He claims Republicans and Democrats alike have been complicit in a cover up. Recent political awareness in America has led a few into believing that President Bush was involved directly in the terrorist attacks on Sept. 11, 2001. The conspiracy theory is nothing new and has been propagated by French author Thierry Meyssan and the underground film "Loose Change." Attempts made to gain financial backing to allow the release of the film in theaters nationwide have been denied. Due to its political nature, film producers won't risk their careers by releasing it, either.